Let's have some skin talk today. Well, you know I'm not that into beauty products so I have very limited knowledge of what's out there. I tend to stick with my tried-and-tested brands, but over the past year, my skin has been playing tricks on me. I can't deny it -- my age is the main culprit. I've been more conscious about my skin since I hit 40 so I often find myself asking friends about the products that worked for them. 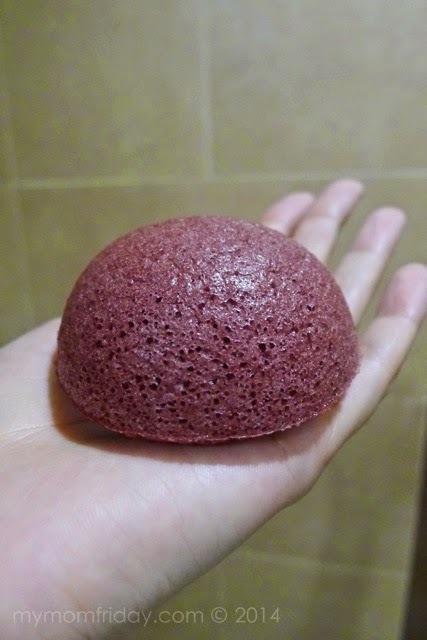 Last summer, I chanced upon Kuu Konjac facial sponge online - I don't think it's something new in the market but it's new for me, so I immediately asked a few friends if they've heard about it. I can't even pronounce the name right. Obviously, I got good feedback and quickly ordered two variants to try. I know I have to switch to something different as I adjust to the changes on my skin. My dermatologist supports it. Having dry (aging, huhuhuhu...) skin, I've been using Physiogel mild cleanser, Cure exfoliant (which I raved about here), and lately, Moroccan Argan Oil as moisturizer. Even for my body, I'm alternating Palmer's Skin Therapy Oil and Mustela Stelatopia Lipid Replenishing Balm since I developed atopic dermatitis just a few years ago! 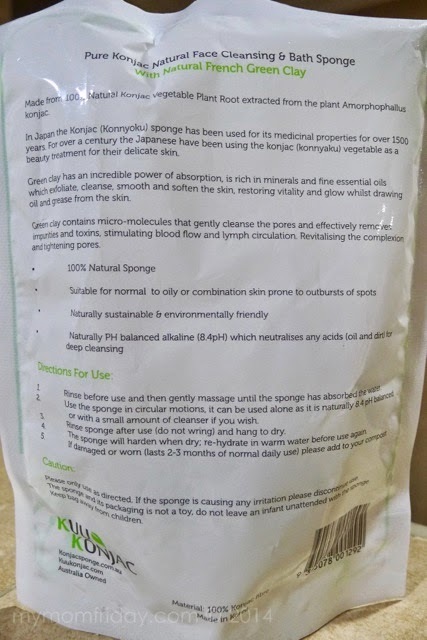 Going back to the sponge, I'm very pleased that my face loves Kuu Konjac cleansing sponges, made in Korea, which I got online from Taste Central almost 3 months ago. I bought the white and the green. 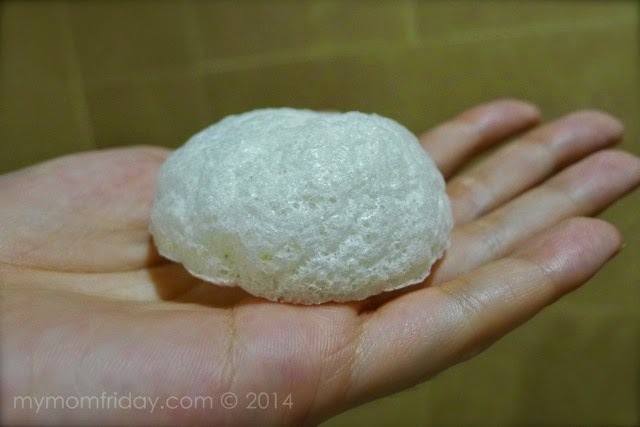 I first opened the white sponge, suitable for all skin types. It's so easy to use. 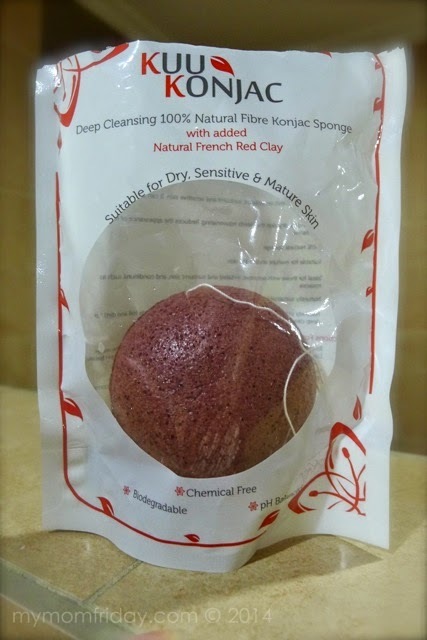 I rinse the sponge and massage around my face right after cleansing. It's sort of the last step before patting my face dry or I let it absorb all the water from my face after rinsing. Sometimes, I add a few drops of cleanser for deeper "cleaning action". Of course, if you experience any irritation, stop using it and consult with the derma. 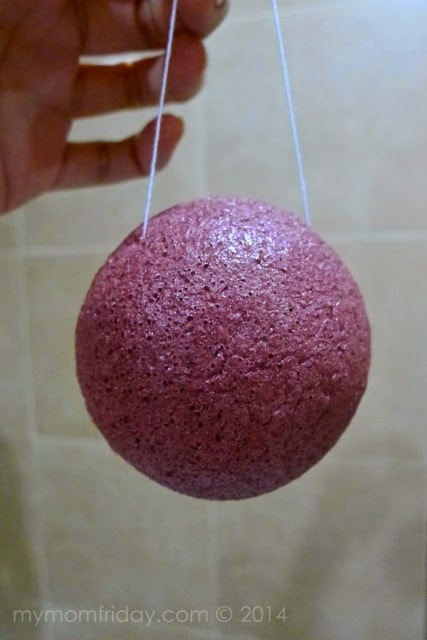 After a very satisfying month of using the white sponge, I then ordered the Kuu Konjac with Natural French Red Clay and used it just before the white got worn out. 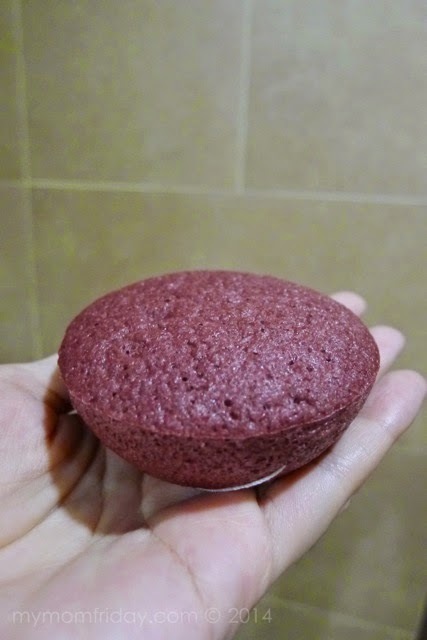 Did you notice it looked like a moist and fluffy red velvet cupcake? I actually forgot I had the green one as spare from my first purchase. =) This has since become part of my basic face care regimen. 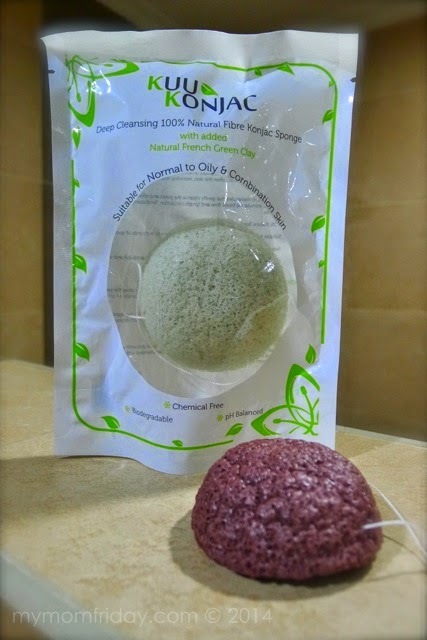 If you're the type who likes to use a face or body scrub, or even a face towel to deep-cleanse, you might enjoy using this too!